Ever mindful of the Sisyphean task of going through this gateway, it is unequivocally obvious that any outsider who wishes to make a mark in the region must work on an arrangement to keep at least one corner of the gateway (Egypt, Turkey or Iran) open”, says Fadi El Husseini in this OpEd piece. Image-Edited from TUTA. As these scenes, by and large, have been repeating over and over for many years, the overriding question is: Does this convergence and divergence stem from the free will of these states, or it is manufactured by foreign powers who have mapped out a specific plan for international relations in the region? This article discusses this state of affairs in relation to three Middle Eastern countries: Egypt, Turkey and Iran. Many Arab and Western scholars have written about the importance of these countries for many reasons, including historical, cultural, demographic, geopolitical, strategic, military and others. In their search for further dominance and bigger clout in the region, imperialist powers have been always trying to hamper any “emergence” of these countries, according to Samir Amin. Their ways differed, including either by sanctions (in the case of Iran), through debilitating and exhausting their capabilities and resources through wars and external loans (in the case of Egypt) or by isolating them from their surroundings (in the case of Turkey before the arrival of the Justice and Development Party [AK Party]). The upshot was selective containment, engagement or confrontation after subtly denying any form of indiscriminate policy towards these countries. Intriguingly, other scholars have divided the region into circles: great, small and minor. 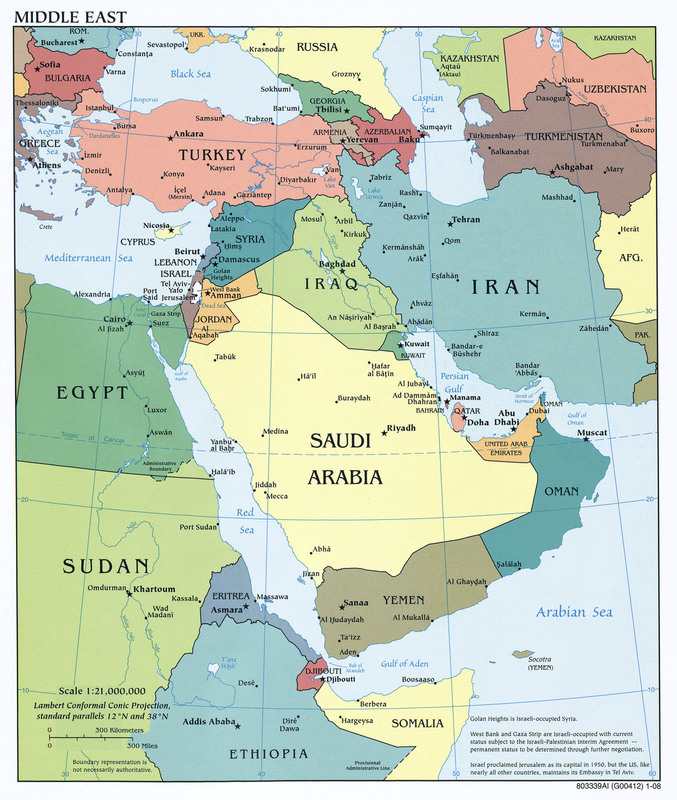 Turkey, Egypt and Iran have been always placed in the most important position, hence the great circle. Other countries, such as Saudi Arabia, Syria and Iraq, float in a smaller circle, while the remaining countries roam around in the orbit of the minor, less important circle. This article focuses on the countries located in the great circle and their relations with the global powers. In fact, the importance of these three countries does not stop at the borders of this region, as some writers have gone on to describe these three as the gateway to the region. According to this assumption, this gate is formed of three corners or pillars, founded on these countries — if they huddle together, they can close the gateway and prohibit the entry of outsiders. Ever mindful of the Sisyphean task of going through this gateway, which can be costly and sometimes impossible (due to an inability to keep balanced relations with all three countries), it is unequivocally obvious that any outsider who wishes to make a mark in the region must work on an arrangement to keep at least one corner of the gateway (Egypt, Turkey or Iran) open. Going back to old times, there was fierce conflict between the Ottoman Empire, “Turkey,” and the Safavid state, “Iran.” After long years of bloody conflict, both sides realized that they were incapable of eliminating each other and accepted the existence of the other. When this front calmed, “Egypt,” which had been living under the Ottoman rule, suddenly rebelled, and Muhammad Ali Pasha attacked the Ottoman Empire. Tellingly, many attribute this to the British and French, who inspired Muhammad Ali to revolt and encouraged him with certain promises. In modern history, several examples and incidents give a similar conclusion. When there was rapprochement between Iran — during the reign of the shah — and Turkey’s Atatürkists, Egypt’s Gamal Abdel Nasser was far from this convergence. With Anwar Sadat’s assumption of power in Egypt, all three countries came into one camp. Nonetheless, this situation did not last long, as the advent of the Iranian Revolution put Iran in an absolutely different camp. Perhaps recent developments prove the accuracy of this diagnosis. When a rapprochement between Turkey and Iran was underway, especially through the role the former played in the negotiations on the Iranian nuclear program and in challenging US sanctions on Iran, Egypt, during the Hosni Mubarak era, was on a different side. Egyptian-Iranian relations were dormant, and Egyptian-Turkish relations were progressing tepidly. During the Turkish-Iranian convergence, Mohamad Morsi came to power in Egypt and Egyptian-Turkish relations blossomed to an unprecedented level. On the other hand, a rare rapprochement between Egypt and Iran occurred and was reflected in mutual visits, most importantly by then-presidents Morsi and Mahmoud Ahmadinejad. The two countries started ironing out their differences and discussed the repair of a 35-year rupture in diplomatic relations. Surprisingly, the events of June 30, 2013 took a different tack and altered the direction of these relations. Egyptian-Turkish relations deteriorated to the degree of recalling ambassadors and reducing the level of diplomatic representation. Similarly, Egyptian-Iranian relations have been, so far, tense, notably in the Iranian media’s treatment of what happened in Egypt as a coup, and Iranian officials have continued to criticize the new Egyptian leadership. The Monitor: Journal of International Studies says, “after the ousting of President Mohamed Morsi, most of the region celebrated this change, except for Iran.” If this was true, one should also not forget that similar dismay took place in Turkey, as people crammed the streets in several Turkish cities condemning what had happened in Egypt. But what would be the rationale behind keeping at least one corner of the gateway open? To answer this, one must recall the role of the colonial powers, who tried to make an arrangement to keep the governments in this region dependent on them even after their formal independence. To that end, they deliberately installed and assigned new governments that differed from the social structure of the state (for example, a ruling Sunni elite in a Shiite majority country, or vice versa). For this reason, these governments would remain dependent and continue to seek external resources and foreign support for their domestic or regional struggles and survival. The gateway hypothesis is congruent with this approach. The need to leave at least one corner open to foreign powers could not be realized unless these three countries were not close enough to each other to seal the gate. To do this, stoking conflict and keeping at least one of these countries aloof from the others would bring the required result. A corollary of this is that the polities of these countries will search for foreign support and extended links from outside the region for any potential regional struggle lest there are unexpected repercussions. This, without a doubt, leaves one corner loose, and hence the gate will remain open to outsiders. What we have been witnessing recently in the exchange of roles and shift in alliances gives a good indication of the accuracy of this hypothesis. When Iran had very good relations with Russia (after its isolation from Egypt and Turkey), the Egyptians and Turks sought closer relations with the US. Most starkly, when it diverged from Egypt, Iran worked on improving its relations with the US and Egypt worked on mending bridges with the Russians, and thus a remarkable rapprochement that had not happened since the days of Nasser has been the result. To recap the chief argument of this analysis, many argue that all this comes in the context of a conspiracy aiming to keep this region fragmented. Yet I believe that such developments have ushered in a new mode of international relations, designed solely for this specific region.